If you have the space, it makes a tremendous sense to maximize your subwoofer system's piston area to enhance efficiency (and output). It gets even better when the larger driver delivers additional power handling and excursion. 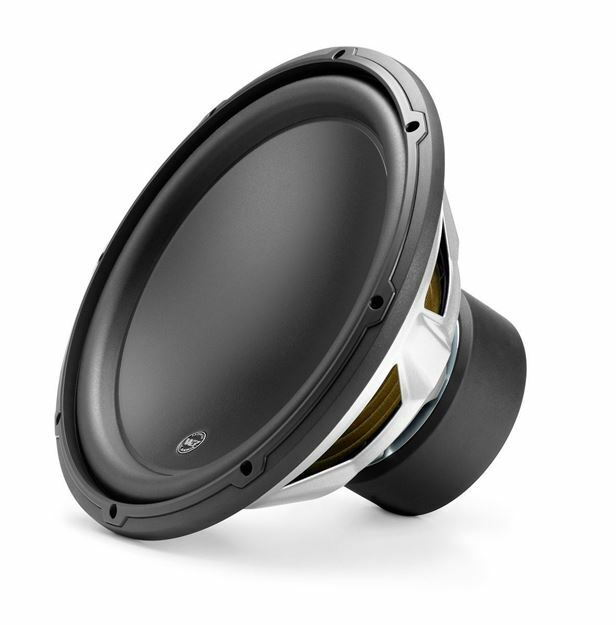 For the preceding reasons, the 13W3v3 can be the best choice for those seeking high output with great sound quality at medium power levels. As with the smaller W3v3's, several exclusive JL Audio technologies and proprietary assembly techniques are applied to the 13W3v3 to enhance linearity and reliability. The 13W3v3-2 is best used with amplifier power in the 150W - 600W range and is optimized to operate in a moderate size 1.75 cu. ft. (49.6 l) sealed enclosure, or a 2.5 cu. ft. (70.8 l) ported enclosure. Detailed enclosure recommendations can be found in the "Specifications" tab.